Marque revived as a two-seater sports car with front end styling reminiscent of the C-V8. Powerful 32-valve 4.6 litre 316 bhp Ford engine also delivers 316 lb ft torque. 5-speed manual box. 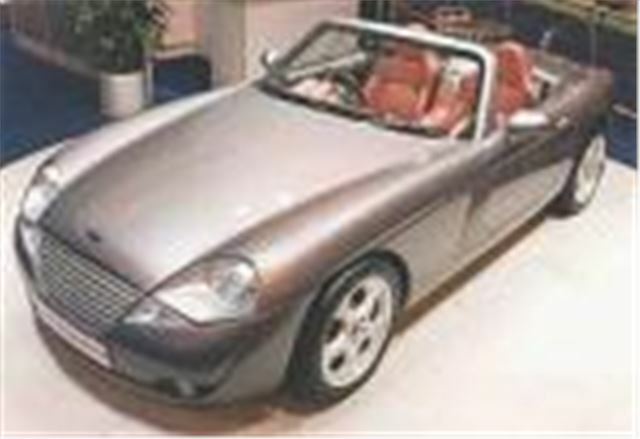 Priced at £39,650 + £675 on the road charges, a comfortable alternative to an AC Mk IV or a TVR. Extensive list of luxurious extras.